It's not a big thing anymore, but when I was a small child and people from Turkey were very new to my country I do remember wondering why ALL the married women were overweight. It had to do with status. Having a big wife meant having enough money to buy a lot of food. Genie: "I give you three wishes and you can't wish for more wishes." 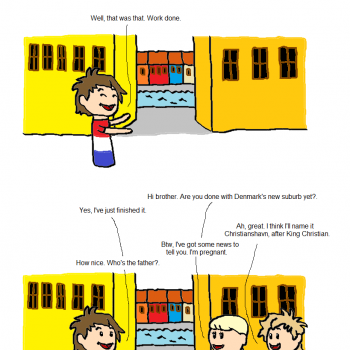 Turkey: "I wish I could." "I wish for more genies!" @Californian123 We obviously have a master Rules Lawyer at work here! Genie: "...wish granted, you may wish for more wishes, but that does not mean I will grant any wishes for more wishes." 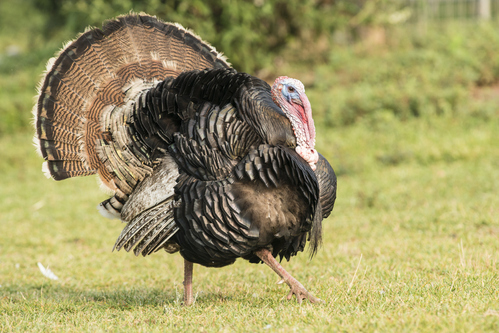 Turkey: "In that case, my second wish is that your handbook has no validity." Genie: You cannot wish for more wishes. I don't always like what you post, but that was a pretty good one! Any joke on this fat bird shall be avoided. Not allowed to ask for more wishes? 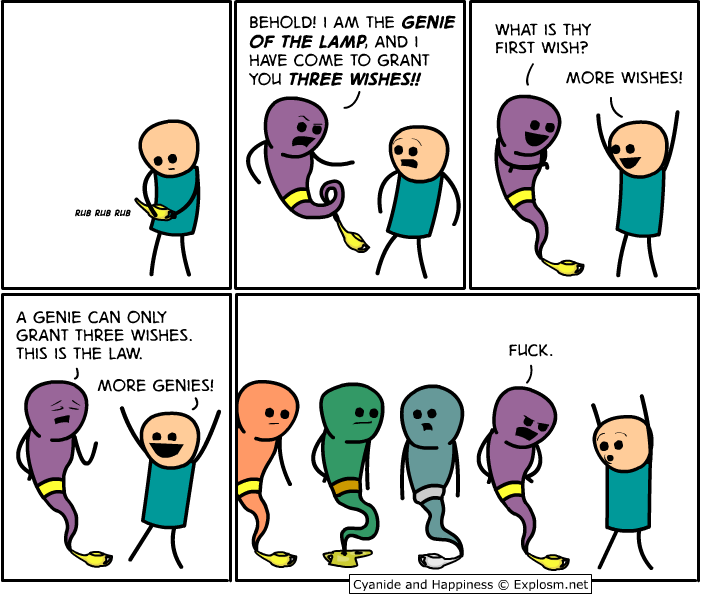 Duh, you always wish for more genies. @piir2 Alternetively, ASK For the power to male anything happen. Same effect. A single woman comes home, looks what's in the fridge and goes to bed. A married woman comes home, sees what lays in bed and goes to the fridge.